Ambassador Stephen A. Seche, Executive Vice President of the Arab Gulf States Institute in Washington. Tuesday, February 19 | 4:30pm | 041 Haldeman Center, Dartmouth College. 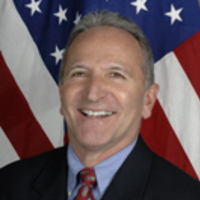 Ambassador Seche spent 35 years as a career U.S. Foreign Service officer. From 2011-13, Seche served as deputy assistant secretary in the Bureau of Near Eastern Affairs at the Department of State, with responsibility for U.S. relations with the GCC states and Yemen. He served as the U.S. ambassador to Yemen from 2007-10. Sponsored by the John Sloan Dickey Center for International Understanding. Free and open to all.